I work for a British company and spend the majority of my work days communicating with British people across the pond, which means I’m constantly learning new things. I’ve learned, for example, that the letters z and h aren’t pronounced zee and aych but zed and haych. I’ve learned that on a phone, the number sign (#) isn’t called a pound key, it’s the hash symbol. I’ve learned that grown people in the UK love Robbie Williams the way I loved Justin Timberlake circa 1998. And one that I had to learn the hard way unfortunately, was that you should never ever try to outdrink a Brit, because even if you manage to keep up, you’ll pay for it the next day. But recently at work, I learned something new. 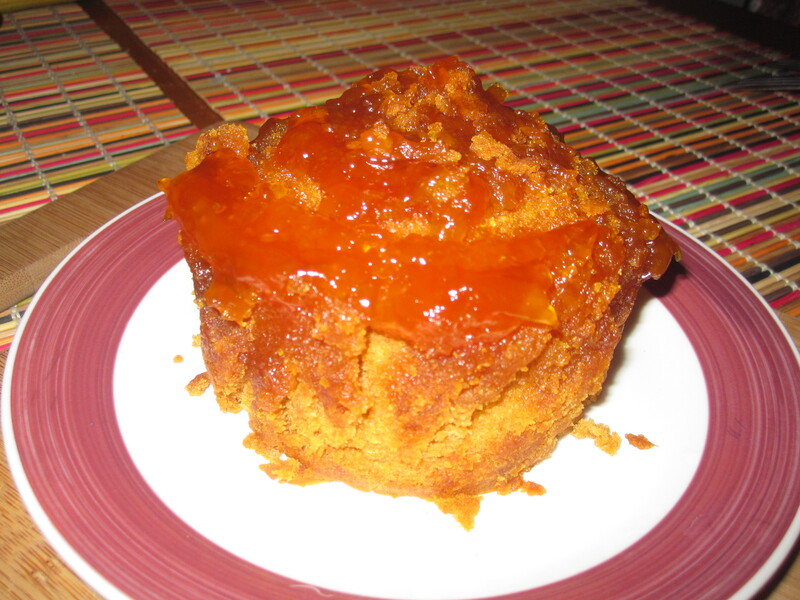 I learned about an oddly titled dessert, the sticky syrup sponge pudding, also known as treacle sponge pudding. What the bloody hell is that, you ask? Well, let me tell you, since I asked myself the same thing when someone at work brought it up. Syrup sponge pudding, so I came to find out, is a traditional British dessert. It’s a syrup/molasses (or treacle as the Brits would call it) soaked sponge pudding. I was curious about it and after one of my colleagues who once lived in London confirmed its tastyness, I went in search of it at Myers of Keswick, a West Village British grocery store that sells everything from Cadbury chocolates (not just the eggs), to meat pies to something called a Cumberland sausage. 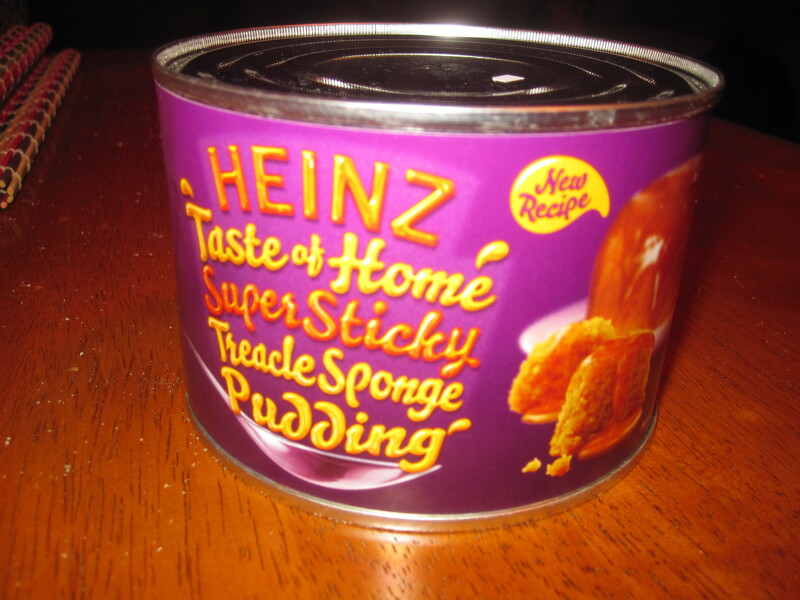 What I found was a Heinz brand sponge pudding, that strangely enough, came in a can. 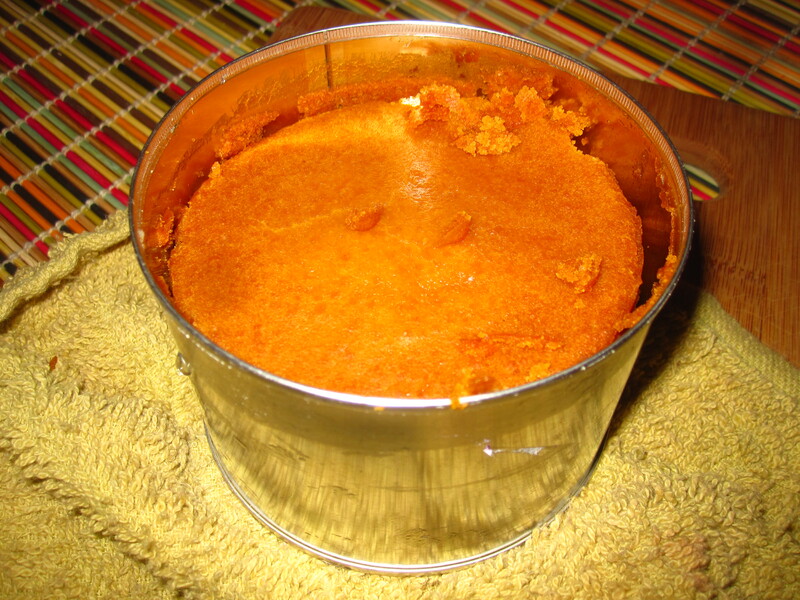 The directions said to toss the can in boiling water for about 30 minutes, then remove the lid, run a knife along the circumference of the can, flip it over and let the warm, sticky sponge pudding slide out of the can. Even more intrigued by this point, I bought it and ran home to make it with Flaneur (who also did a stint in London but was unfamiliar with this dessert). After the cake (or pudding, if you will) slid out of the can, a layer of semi gelatinous syrup sat on top. The part below it was warm and soft, like the love child between a bread pudding and a flan. The flavor was cloyingly rich, with a taste that was part honey and part caramel. Did I prefer it over a fat piece of brownie, a thick slice of cheesecake or a smooth slice of pumpkin pie? No, not at all, but it wasn’t about that. It was about learning something new, trying something different and expanding my dessert-eating horizons across the ocean. This entry was posted in Sweet stuff and tagged British people, Heinz, Myers of Keswick, sticky treacle sponge pudding, West Village. Bookmark the permalink.